Legend of Zelda Link's Awakening Game Boy Game Cartridge Cleaned, Tested, and Guaranteed to Work! Game arrived fast. works perfectly as described. my previous copy growing up i couldnt save so i had had to start over every time i played the game, well NOT ANY MORE!! So happy i can save and not have to start over. over all very happy with my purchase and experience with Lukie games and will be returning for more game purchases in the future!!! Not much else to say except a great game, decent price, and groovy service from LukieGames. Can’t go wrong. Game showed up just as listed in great working condition is a total Keepsake for any Gameboy collector so happy I bought this from Lukie Games! 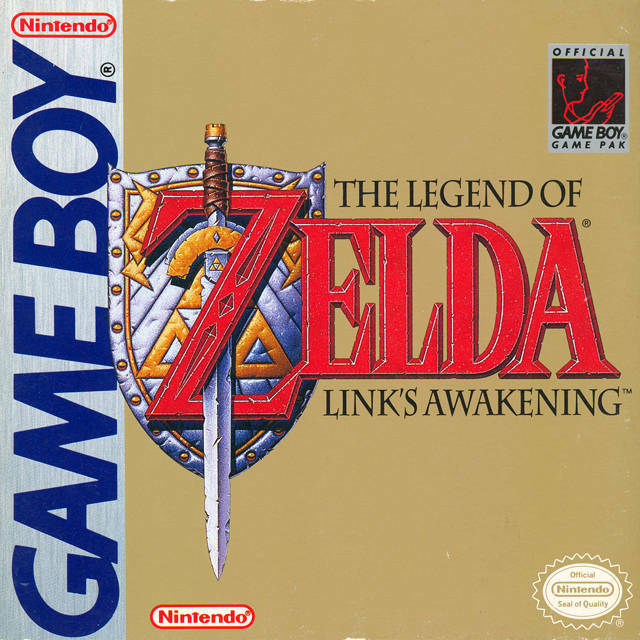 Link's Awakening is your standard Zelda game from that era......there have been better Zelda games, but like all of them, this one is a gem, not to be missed or overlooked. If you own a Game Boy Color or later I highly recommend upgrading to Link's Awakening DX, your experience will be much enhanced. I played and played this game with my original game boy growing up. I loved it then and love replaying it now on the super gameboy. Nastolgia at it's finest. Game was in great condition and in fine working order. I'd recommend this title to everyone. It's Link's first handheld adventure... glitches and all! Would have been 5 stars if it weren't for the fact that it didn't come in the best condition. But still great condition for the price! Works perfectly with the Super Gameboy. Thank you. This game was a favorite of mine, it was fun had challenges, a recommended buy for any Zelda fan with a GB GBC or GBA.